Well back in the late 1800s, the Bohemian Pilsner (e.g. Urquell Pilsner) stirred a craze amongst brewmasters all over in order to create the palest and most thirst quenching lager known to man. Among these light lagers that were created following the birth of the Pilsner was the Dortmunder Export (e.g. DAB Export), Munich Helles (e.g. Paulaner Premium Lager), Standard American Lager (e.g. Budwieser), Light American Lager (e.g. Coors Light), Premium American Lager (e.g. Coors Extra Gold), Classic American Pilsner (e.g. Our very own CAP), and German Pilsner (e.g. Warsteiner). All of these light lagers do a really great job at quenching one’s thirst. 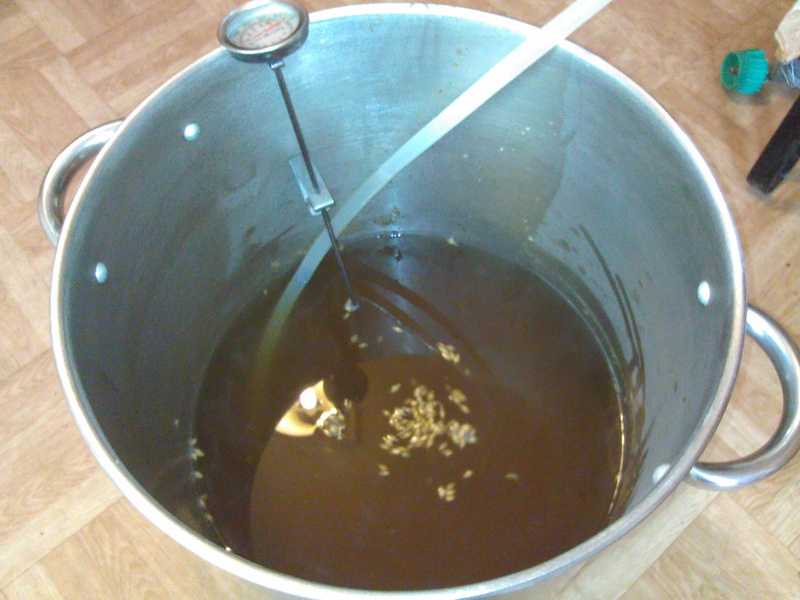 Brewing such beers are very challenging even to the most experience homebrewer and brewmaster. Since these beers are so light in flavor and color and kind of flaw (from the yeast, hops, malt, etc..) becomes very evident in the final product. Major brewery’s such as Anheuser-Busch or Coors have highly skilled brewmasters who are able to produce the same product batch after batch, year after year. I find that absolutely amazing that no matter what ingredient variables they come across, in the end no matter what time of the day or year you pick up a Budweiser. It will taste exactly like the Budweiser you had before. 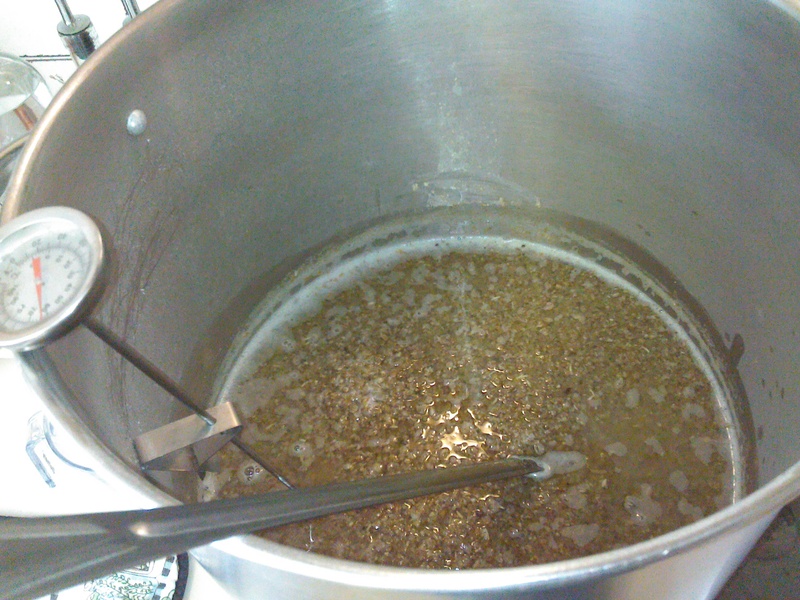 As challenging as these beers are to brew, many homebrewers and brewmasters take the challenge in brewing pale lagers. 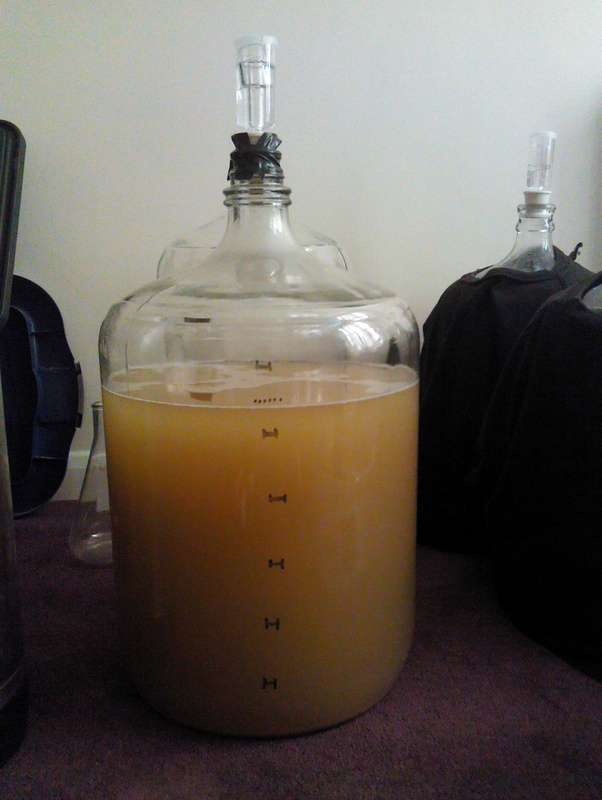 I plan on crafting the Standard American Lager which normally consists of 60% malt and 40% corn or rice, hangs around 8-15 IBU’s (bitterness), usually a pale 2-4 SRM (pale to golden straw colored), and weighs in at 4.2 – 5.1% ABV. I decided to use Pilsner Malt and Rice at a 60/40 ratio and mashed (steeping grains in water to convert to sugar) at a very low temperature for 120 minutes. 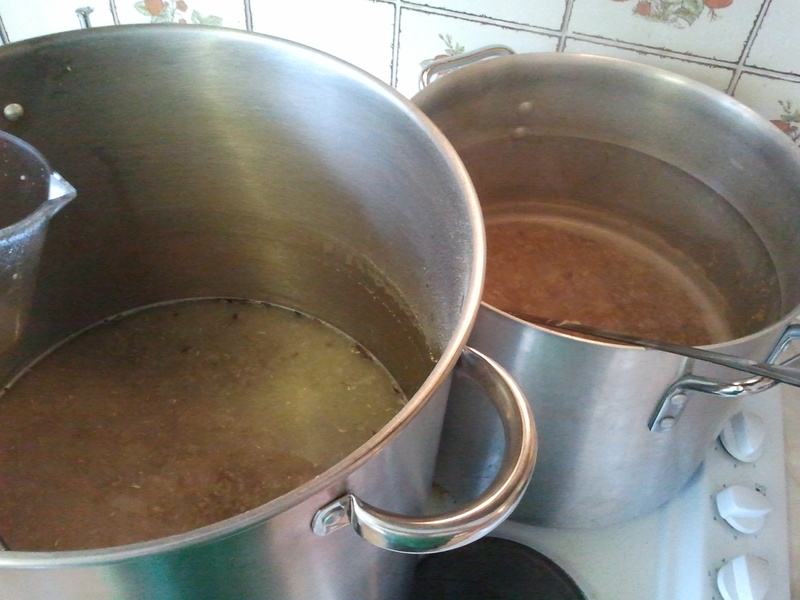 This ensured I had full conversion of the starches from the rice and Pilsner malt itself. 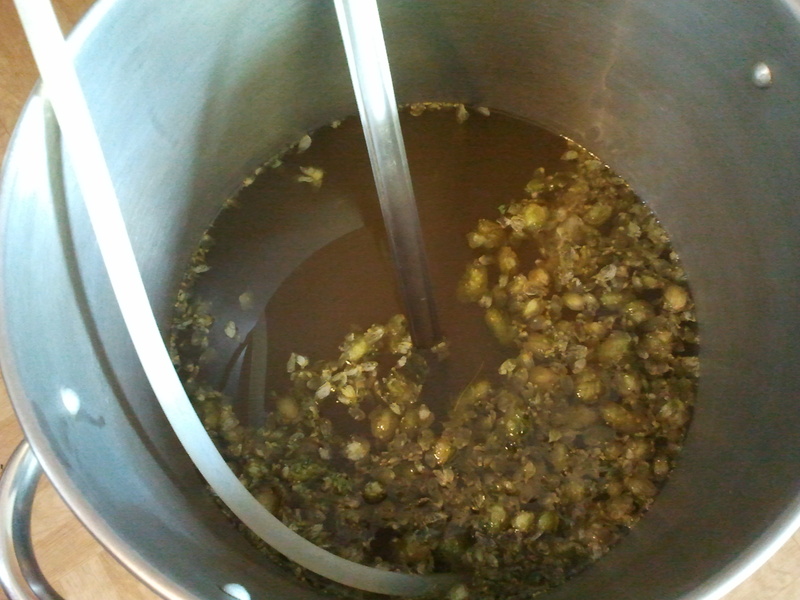 One type of hop called Cascade is being used for bitterness and flavor, just a minute amount is being added for aroma as it’s frowned upon to have hoppy aroma from this beer. 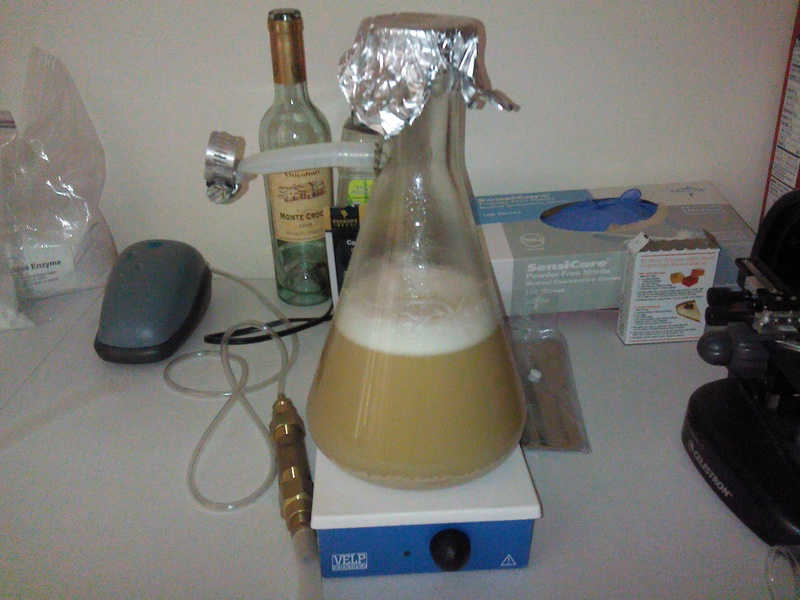 I’m still torn between using two different types of Lager yeast for this beer, upon completion I’ll be sure to update the yeast that was used in this brew. 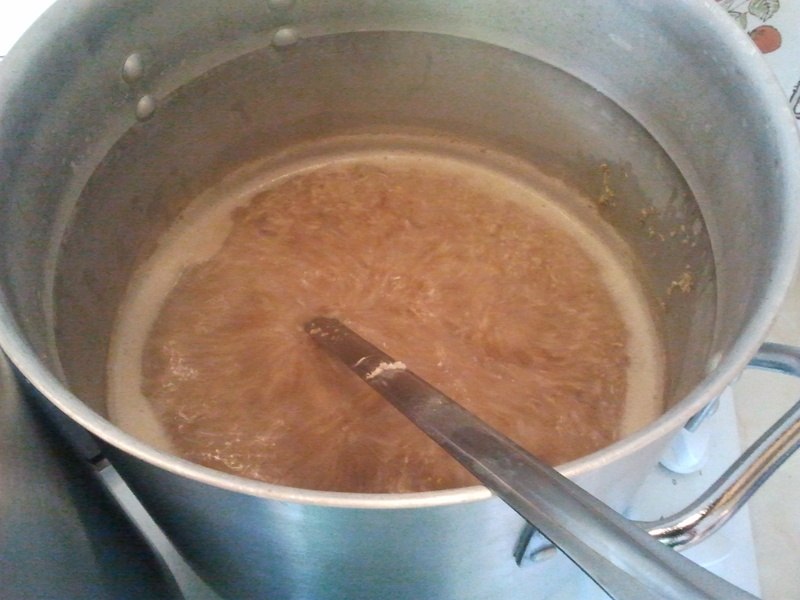 As always, I’m a huge believer of First Wort Hopping (FWH), this is a process of adding hops to the kettle as I’m sparging (draining the wort from the grains) the wort (sugary goodness that yeast likes) before boiling. I also plan on doing something very interesting to this beer, normally Budweiser is aged at cold temperatures on Beech Wood which makes it very unique from that process. My plan is to age this American Lager on Apple Wood instead, to separate this beer apart from other American Lagers. There’s not much data on aging beers on many woods other than French and American Oak and Beech, which makes it hard to determine how it will affect the lager. For now the applewood chips are soaking in Ciroc vodka (we only use the best for our beers..lol) to sanitize the chips prior to adding to the lager in the secondary to age. While waiting for this lager to finish up in the primary, come on down to the brewhouse and enjoy our beers we have on tap!